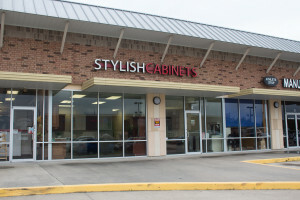 Whether you are moving into a new house and need to replace the bathroom or kitchen cabinets, or you are ready to tackle some projects on your to-do list, contact the team at Stylish Cabinets. We offer affordable cabinets in the Katy and Houston, TX areas so you are not left paying and arm and a leg. Our bathroom and kitchen cabinets come in a raised or flat panel. There are also a variety of color options to choose from including light and dark wood, gray, and white. To customize your cabinets, we offer a variety of accessories and special features to help make your new cabinets match your style. Our team will even come out and help you install your new cabinets. Contact us today for more information or to get started on your new design.